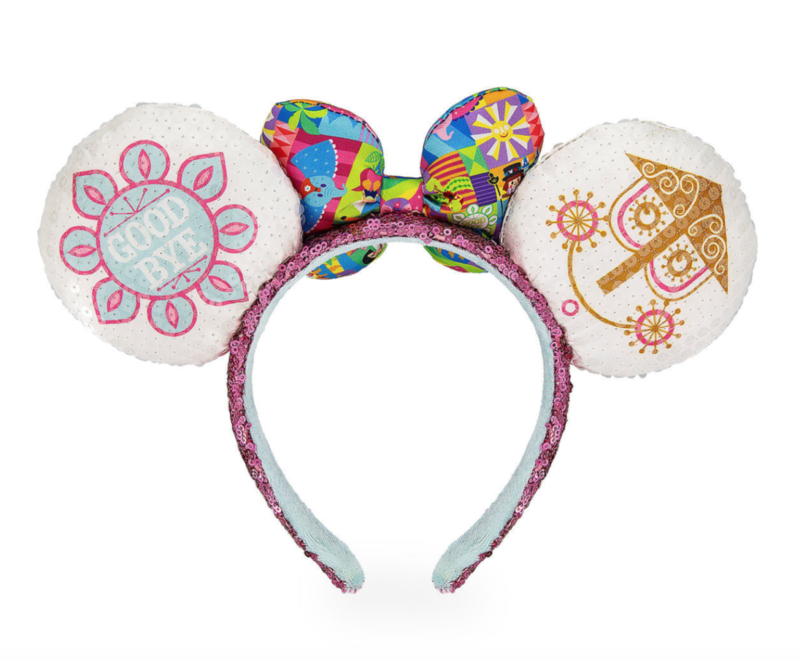 I don’t have these ears yet, because they are so new. They are currently available in Disneyland, but I’m not sure if they have shown up in Disney World yet. I happened to be looking at shopdisney.com (surprise, surprise) and saw these listed as available to order, so I bought a pair right away. They look so cute! The screen shots from shopdisney.com show the same designs that are on the classic ride. On one ear the front says “Hello” and the back says “Goodbye” in the same writing as you see on the ride. The bow looks very colorful and full. It has pictures of different figures from the ride and they are drawn in the same Mary Blair style. It’s cute and really pops on the headband because of the color. I’m not sure how long these will be available online, so if you want a pair (and won’t be in the parks anytime soon) then I would hop online and grab a pair. 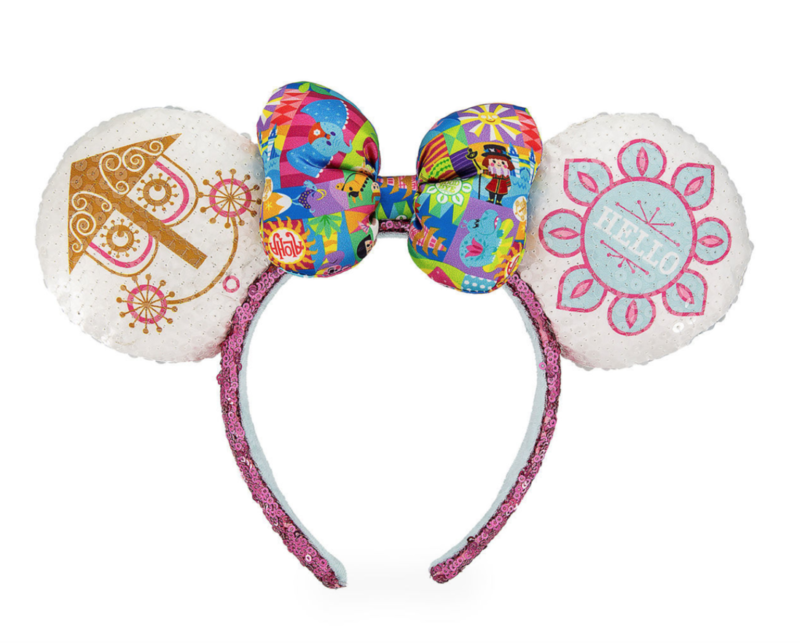 The ears cost $27.99 and can be found on shopDisney.com.